On behalf of the Canadian Agricultural Economics Society we have the privilege to honour Ellen Goddard and Peter Boxall with the highest, and most esteemed honour of CAES Fellow in recognition of their lifetime of commitment to the core values of our society. Drs. Goddard and Boxall will join a select group of professionals who have demonstrated continuous distinguished contributions to the advancement of food, agricultural or resource economics when they are awarded the title of CAES Fellow during the Annual Awards Banquet on July 10, 2019 at the Lord Elgin, Ottawa. Join us in congratulating them! Be sure to purchase your tickets to the awards banquet from the Member Area. Login here to buy yours. Dr. Ellen Goddard is Professor in the Department of REES, Co-operative Chair in Agricultural Marketing and Business, and a member of National Steering Committee on Public Trust in Agriculture. Dr. Goddard has had an enduring impact on the agri-food industry. 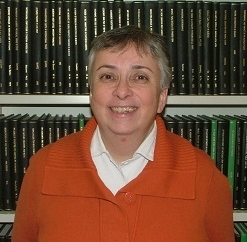 Her major contributions and leadership roles include the development of econometric approaches to assess the effects of generic advertising expenditure on consumer demand and trade and the determination of optimal pricing and advertising investment strategies/policies for various food and agricultural products. In recent years, Dr. Goddard has been recognized for her lasting and impactful research contributions and leadership in the evaluation of consumer decisions in food markets, technology adoption, and genomic technologies in livestock production. Her work is particularly fundamental to our understanding of the implications of advances in bioscience research (biotechnology) to economic decisions by government, producers, consumers and other stakeholders. She is a tireless advocate for our profession and the key role agricultural economists play in informing bioscience research and food and agricultural policy design. Dr. Goddard is well recognized as an outstanding mentor of numerous undergraduate and graduate students. Her outstanding teaching awards and her relentless efforts to training the next generation of food and agricultural economists are a testimony to her enduring contribution to teaching. She has demonstrated exemplary, sustained commitment to mentoring and inspiring her students and junior faculty to develop excellence in scholarly rigour, competencies in critical thinking, professional conduct, and integrity. Dr. Goddard is highly commended by fellow CAES members for her exemplary leadership qualities. She has shown an unparalleled devotion to the Canadian Agricultural Economics Society through her leadership in the national research network in capacity building, her leadership in the CAES at different levels (e.g., associate editor, co-editor, board members, Chair of CJAE Publications Committee, participating in CAES conferences, allowing her students to take part in CAES conferences), GE3LS lead on several Genome Canada projects, Chair of the Department of Rural Economy at the University of Alberta, Associate Dean at the University of Melbourne, and member of many professional and public committees. Dr. Peter C. Boxall is Professor and Chair, Department of REES, and Adjunct Professor, School of Agricultural and Resource Economics, University of Western Australia. He is also a former program leader, Linking Environment and Agriculture Research Network (LEARN), Agriculture and Agri-Food Canada and a participant in the Land Reclamation International Graduate School (LRIGS) program sponsored by NSERC CREATE. 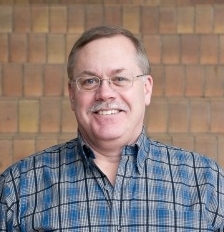 Dr. Boxall has made significant contributions to the agricultural and environmental economics profession through research, teaching and service. He is internationally renowned for his research in the areas of environmental valuation, environmental and conservation policy, and agri-environmental policy and is one of Canada’s top agricultural and environmental economists. His research is highly cited and has been recognized by various awards including the CAES Publication of Enduring Quality. He has been recognized as an outstanding teacher with awards from his Faculty as well as student groups. Dr. Boxall’s early contributions in the areas of environmental valuation were path breaking and led to publications in top agricultural / environmental economics journals (such as the American Journal of Agricultural Economics and the Journal of Environmental Economics and Management). These publications have been very highly cited, and the citation rate has continued for many years. But Peter’s research contributions were not limited to these early career publications – he continued to publish outstanding papers that have received various honours from the CAES (honourable mention outstanding journal article), Australian Journal of Agricultural and Resource Economics (best paper) and others. His research also moved beyond environmental valuation into the areas of conservation auctions, agri-environmental policy, and other areas. He is internationally recognized – as illustrated through invitations to speak at conferences in Australia, Japan, and various locations in Canada and the U.S. He is ranked among the top economists in Canada (in the top 10% of the REPEC ranking). Dr. Boxall has been a mentor for graduate students having supervised or co-supervised over 30 graduate students. He has provided leadership as an administrator including being the chair of the Department of Resource Economics and Environmental Sociology since 2014. He has also been a leader in the profession of agricultural economics with service as the President of the CAES, co-editor of the CJAE, and membership on the editorial boards of several highly regarded journals. Peter Boxall is one of Canada’s best agricultural and environmental economists and is internationally recognized for his contributions to the profession of agricultural and resource economics.